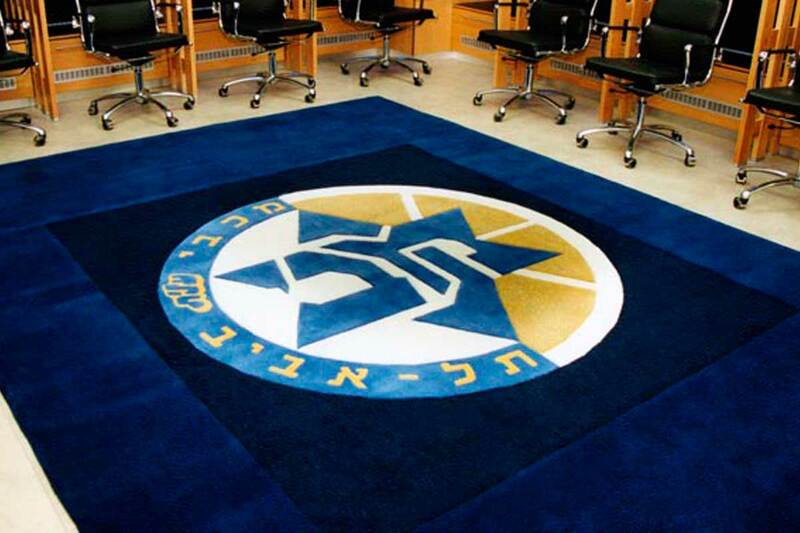 This logo carpet is the first version we created for Maccabi Tel Aviv basketball club. At that time, Elite was the club’s sponsor. When Electra took over the sponsorship, we had to change the logo appearing in the carpet (see left margin). For us, flexibility and adaptability are the name of the game. Version 2 of this carpet is to be found in the Nokia Stadium in Yad Eliahu, Tel Aviv.